The pages in the main part of this website rely heavily on original source material contained in the official war diary of the Matron-in-Chief in France and Flanders during the Great War. 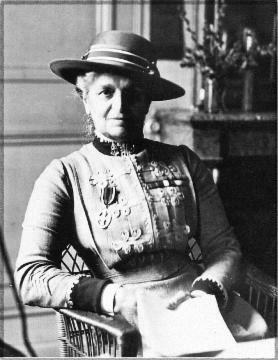 The diary was written almost exclusively by Dame Maud McCarthy from the time she first arrived in France in August 1914 until her departure five years later in August 1919. For six months during 1917 she was seriously ill, and during that time the diary was completed by the Principal Matrons who temporarily replaced her, but to an identical format. Footnotes on these pages give date references to the source of comments contained within the diary, the original of which is held at The National Archives, Kew, reference WO95/3988, 3989, 3990 and 3991. A transcription of the war diary to March 1919 can be found on the Scarletfinders website, and a complete list of the material, month by month can be found on the following page, enabling easy reference to the context of each quoted comment.